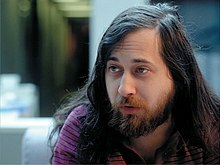 ^ a b Stallman, Richard (September 27, 1983). 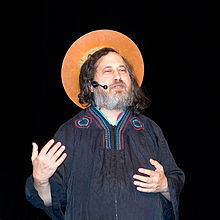 "Initial GNU announcement". Retrieved November 20, 2008. ^ "Biography". stallman.org. Retrieved April 13, 2019. 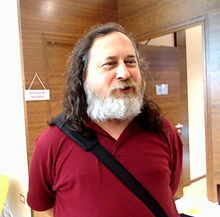 ^ Stallman, Richard (April 22, 2009). "Biopiracy or bioprivateering?". Vegan Animal Liberation Alliance. Retrieved September 13, 2018. ^ "How I do my Computing". 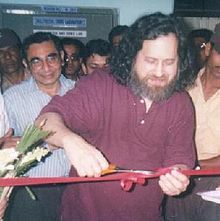 stallman.org. Retrieved September 16, 2018. ^ "How I do my Computing". April 10, 2016. Retrieved September 16, 2018. ^ a b "Main page of the IMSLP". wikidot.com. December 6, 2011. Archived from the original on April 15, 2008. Retrieved July 22, 2012. ^ Torvalds, Linus. "LKML: Linus Torvalds: Re: GPLv3 Position Statement". lkml.org. Linux Kernel Mailing List. Retrieved March 24, 2019.